It's 22:07 in Montclair, USA right now. Dodd House A webcam in Montclair, New Jersey with image archive, weather data and timelapse videos. 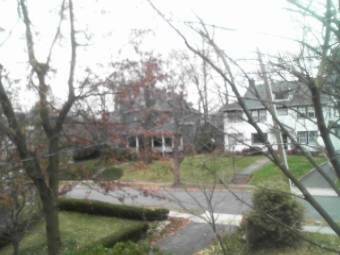 Montclair, New Jersey: Montclair Kimberley Academy, 0 miles away. Harrison, New Jersey: Harrison Weather Center, 6.1 miles away. Harrison, New Jersey: Red Bull Arena, 6.1 miles away. Newark, New Jersey: Oliver Street School, 6.6 miles away. Jersey City, New Jersey: Hudson County School of Technology, 9.9 miles away. Weehawken, New Jersey: Livestream Skyline Manhattan, 10.5 miles away. Whippany, New Jersey: Memorial Junior High School, 10.9 miles away. Hoboken, New Jersey: HobokenWeather.com WeatherCam, 10.9 miles away.